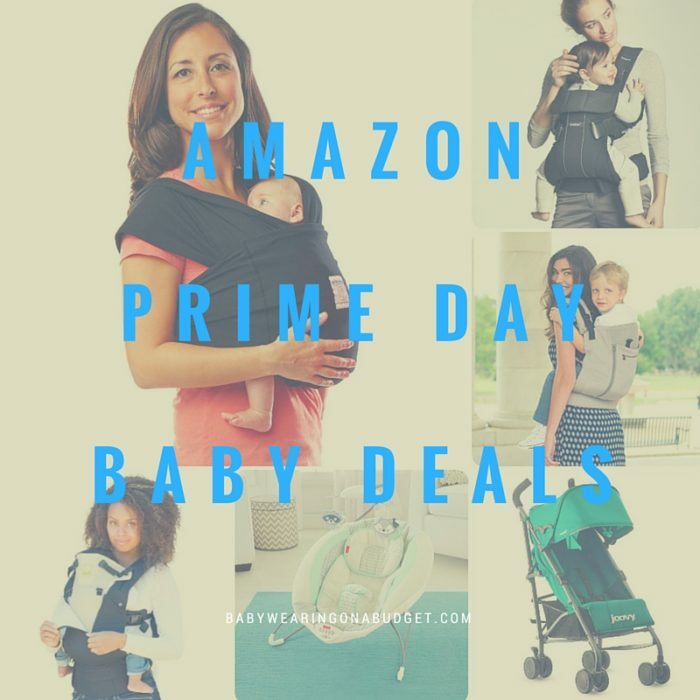 Amazon Prime Deals - Baby Products! All! It’s the morning and I know folks are already throwing things in their carts. If you do not have Amazon Prime now, sign up here! Get free shipping all year! Remember – some of these prices will change when it’s time for that deal! It may be priced even LOWER!! Pampers Diapers 35% off – all Pampers diapers! When Baby Spawn was born, that’s all we used! We still use Pampers! Sensitive Swaddlers FTW! Plus if you select Subscribe & Save, you get another 20% off! Fisher-Price Moonlight Meadow Deluxe Bouncer – I’ve heard great things about these bouncers. I had a Graco and it was a heavy “swing.” This one is lower to the ground and a little smaller in size. Baby K’Tan Original Baby Carrier $39.95 – The price is listed as $49.95 but when you put it in your cart, it’s $39.95. Be sure to pick the right size and your color of choice. Lillebaby 3-in-1 Toddler Carrier Stone $119.99 – Now this is a ‘WATCH’ sale – so you have to wait for the time it goes on sale at 10:55am PST and check the price. It could be even lower. Joovy Groove Ultralight Lightweight Travel Stroller $136.31 – I’m watching this sale at 5:00pm PST. Sometimes you just need a stroller! I’m always on the lookout for lightweight and functional strollers that I can bring for travel. You? So. many. carseats. There are some great brands that are under $200 for a terrific and safe carseat. I can’t keep up on the number of carseats on sale but cross-reference them with the Carseats for the Littles website and their recommendations! This is not a baby product per se but it is a time-saver! I bought my Instant Pot for the regular sale price. But today, it’s on sale for $69.99!! GET IT. This is a MacGyver product – it is a pressure cooker, crockpost, steamer and rice cooker! I love it so much! You can make beans and lentils in 5 minutes. FIVE. I make my go-to pasta bolognese in 12 minutes. The Instant Pot should be on every baby shower gift list! I am a big fan, if you couldn’t tell. Sign up for Prime now and be eligible to save on these items. Disclosure: Post contains affiliate links. If you click on the link and purchase an item, I will receive a small commission at no cost to you, which goes back to supporting this blog. Thank you.